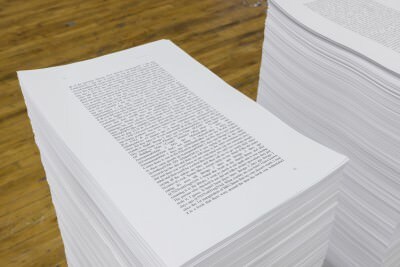 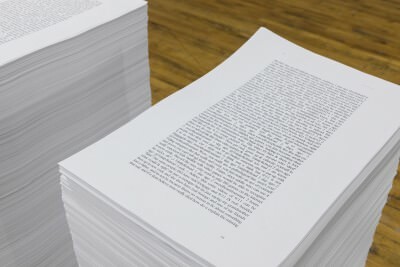 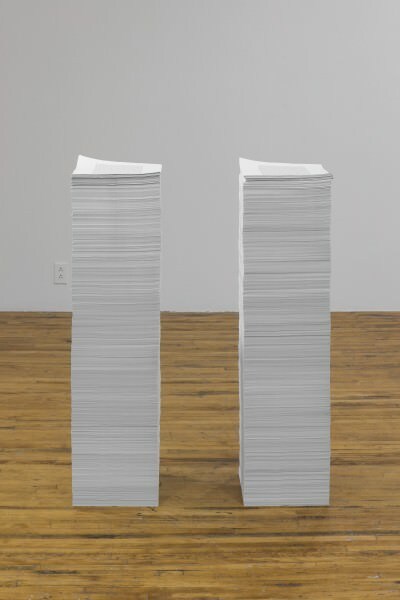 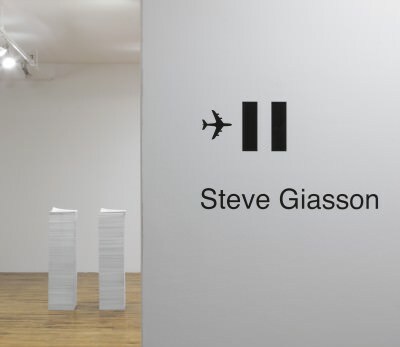 Approximately 30,000 sheets of paper - on which is printed the conceptual poem ✈11, compiling all the comments surrounding a video on YouTube of the terrorist attack against the World Trade Center on Sept. 11, 2001 - arranged in two equal piles laying on the ground. 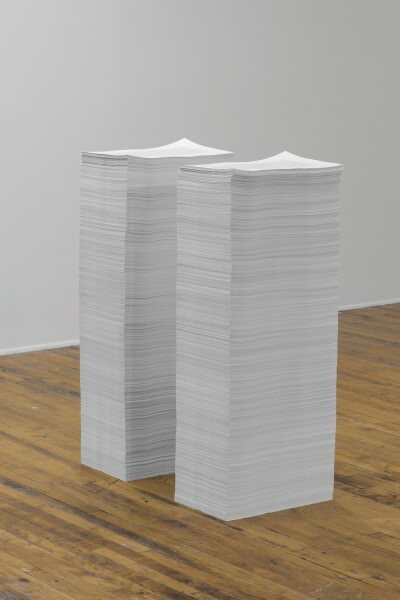 Visitors are invited to take sheets with them. 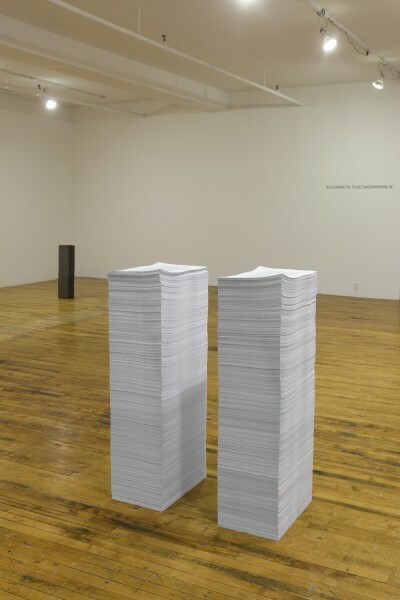 These will not be replaced.